The polymorphism of the glycoside donor methyl 2,3,4-tri-O-acetyl-1-O-(trichloroacetimidoyl)-α-d-glucopyranouronate (1) has been investigated. 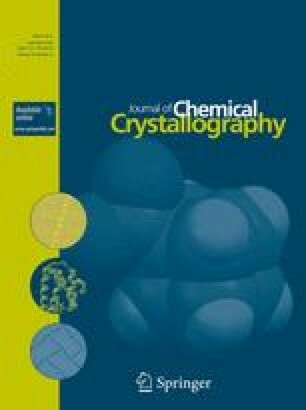 Two polymorphic forms (labelled Forms I and II) have been elucidated and fully characterised by DSC, PXRD and single crystal analysis, both crystallizing in the space group P21. Form I was obtained by crystallization from a wide range of solvents, while Form II was obtained only from ethyl acetate or isopropanol on certain occasions. Unit cell dimensions for Form I are a 14.0292(12), b 8.9641(8), c 16.8580(14) Å, β 94.285(2)°, and for Form II a 11.266(3), b 6.8889(17), c 13.921(4) Å, β 101.161(6)°. Z’ is 2 for Form I and 1 for Form II. Form I displays two moderate intermolecular hydrogen bonds in the unit cell whereas Form II shows no moderate hydrogen-bonding motifs. All three molecules in the two polymorphs differ significantly in their conformations, especially with respect to the methyl carboxylate and trichloroacetimidoyl groups. Structures of two polymorphs of methyl 2,3,4-tri-O-acetyl-1-O-(trichloroacetimidoyl)-α-d-glucopyranouronate were determined. This publication has emanated from research conducted with the financial support of Science Foundation Ireland under Grant Numbers 07/SRC/B1158, 08/RFP/MTR1664 and 05/PICA/B802/EC07.